Blake Bernier talks about a busy week of high school basketball and this week’s Crosstown Classic matchups between Murray High and Calloway County. Neal looks back at the Racer win over EKU and the weekend of area college and high school basketball. 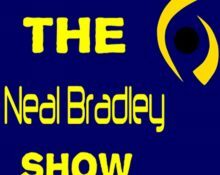 Voice of the Calloway County Lakers Blake Bernier talks high school basketball and the NFL playoffs. The Paducah Sun’s Ed Marlowe talks Murray State basketball, The Citrus Bowl, Titans, and more. The Paducah Sun’s Ed Marlowe talks Christmas, Racers, College Football Playoffs, the Puig trade, and more. A look at high school basketball, NFL, and NFL fantasy with voice of the Calloway County Lakers, Blake Bernier. The Paducah Sun’s Ed Marlowe talks Racer basketball, football, and what he’s buying his wife for Christmas. Voice of the Calloway County Lakers Blake Bernier talks high school basketball. NFL and NFL Fantasy. Following that, Monday’s weekly pressers with Rechelle Turner and Matt McMahon. A recap of the Racer win over Jackson State with post-game audio from Tevester Anderson, Matt McMahon, and KJ Williams, plus a regional sports update. The Paducah Sun’s Ed Marlowe talks Murray State basketball and the week that was for Ja Morant.